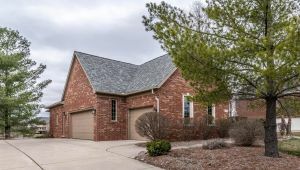 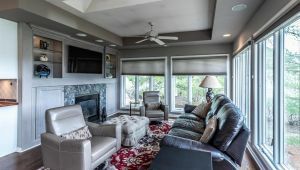 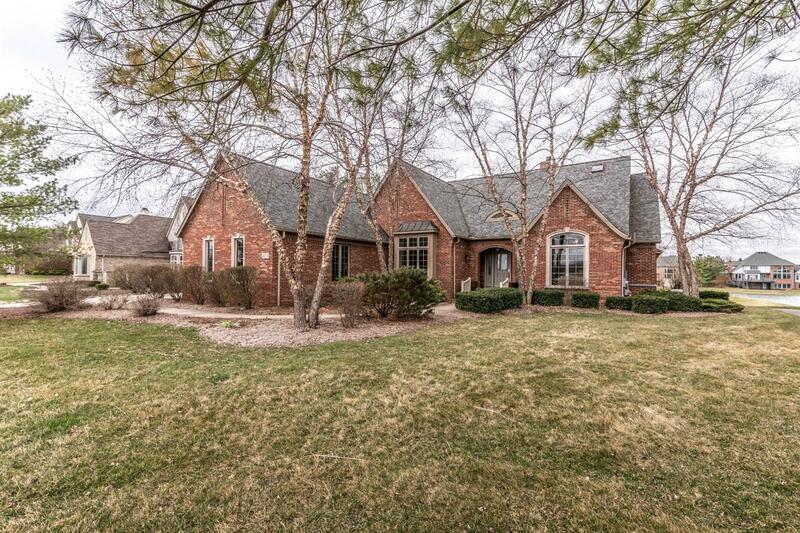 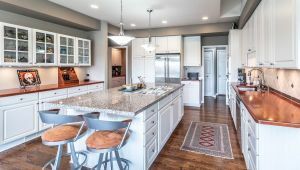 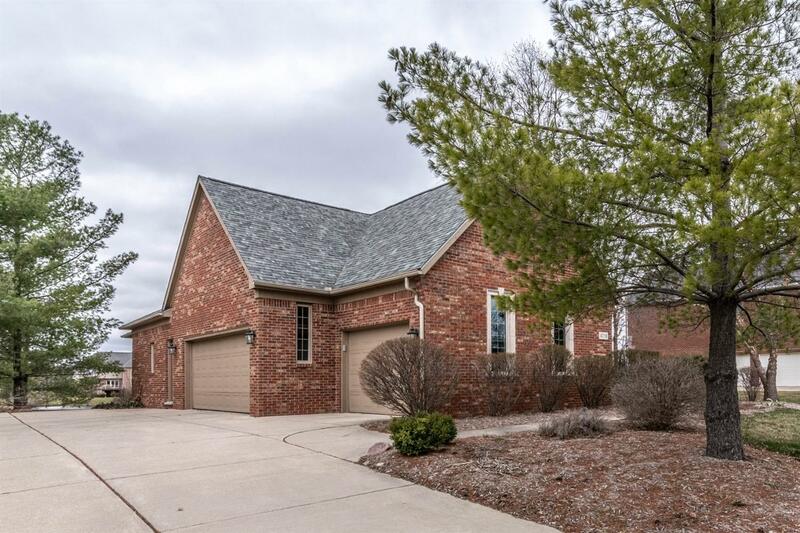 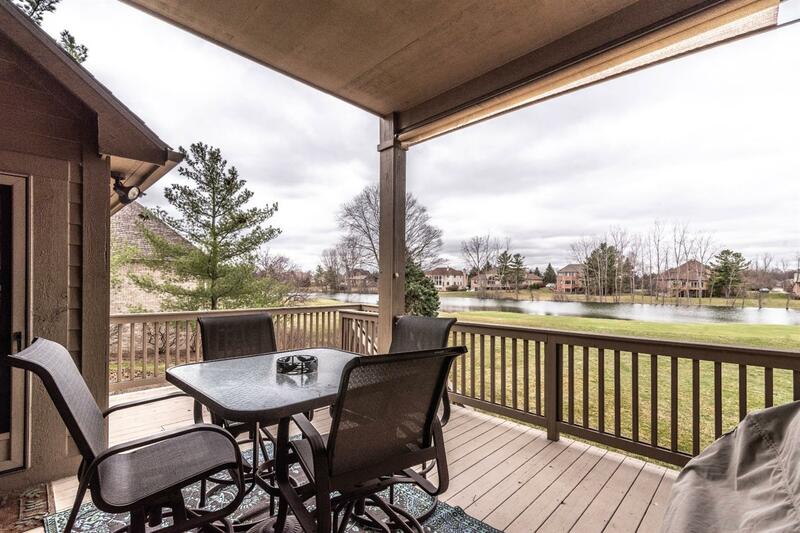 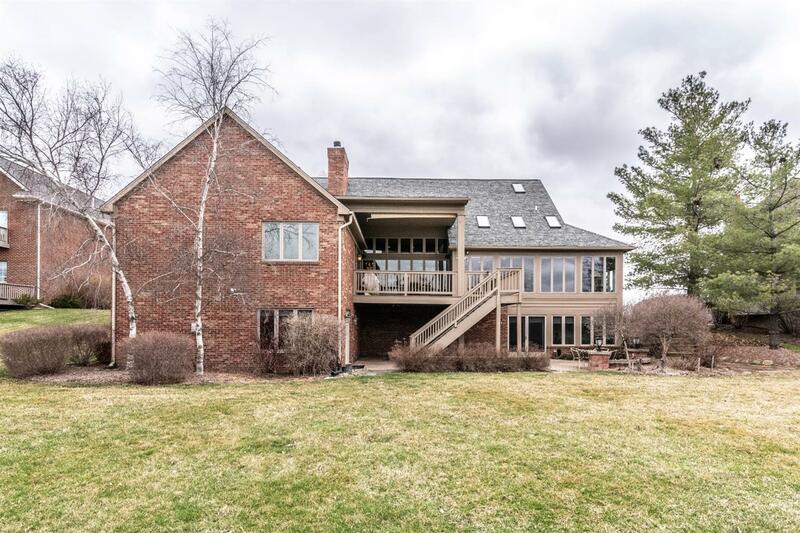 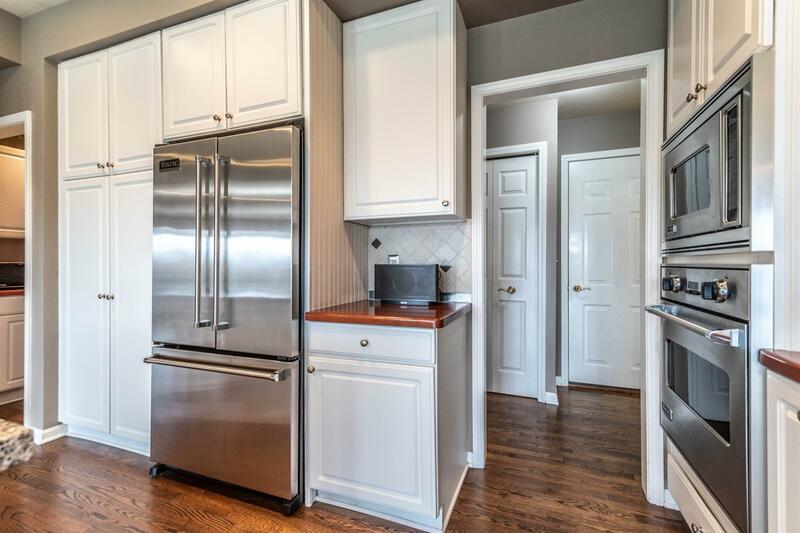 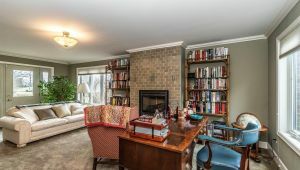 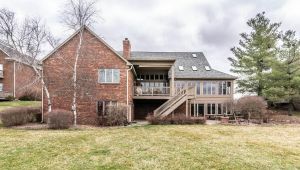 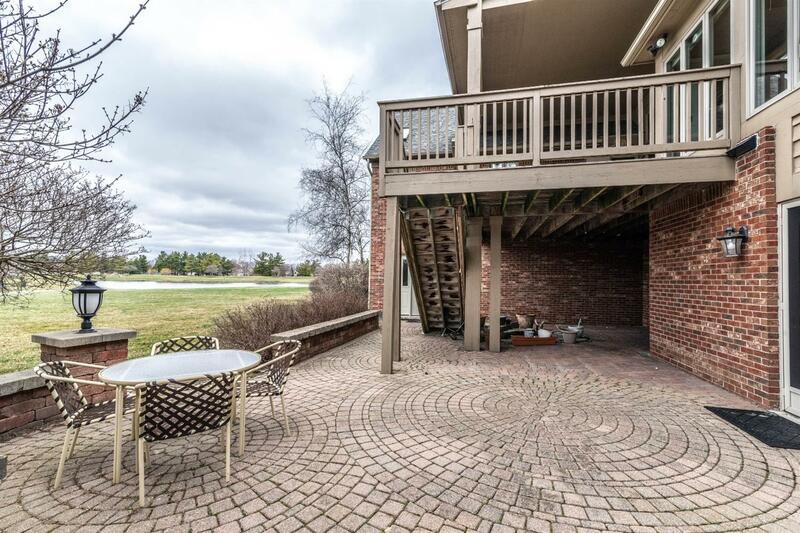 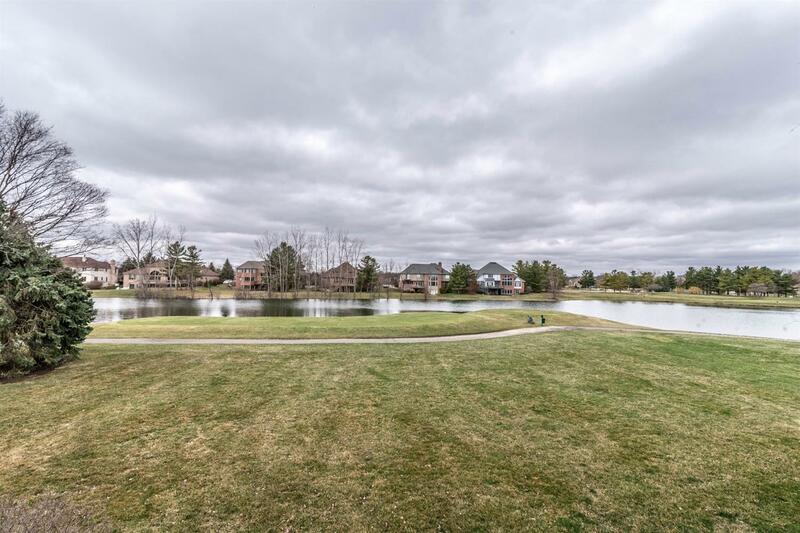 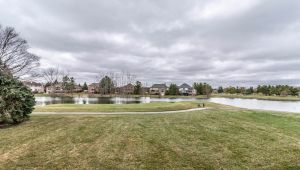 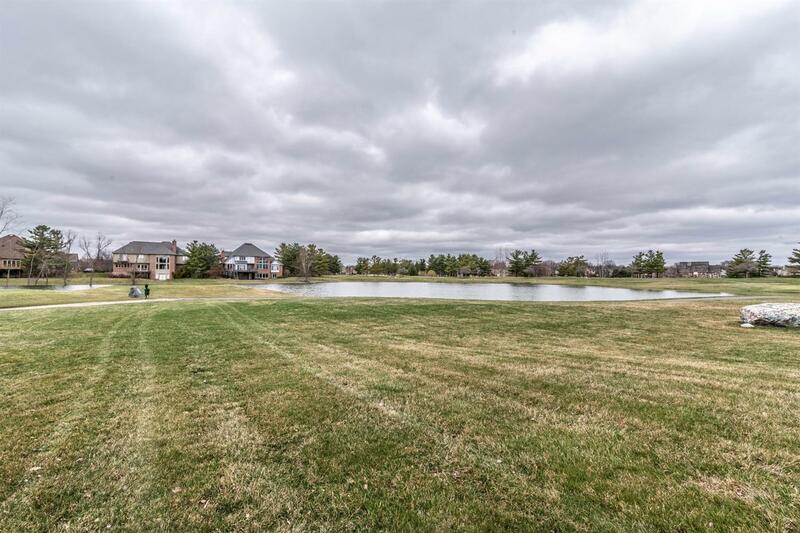 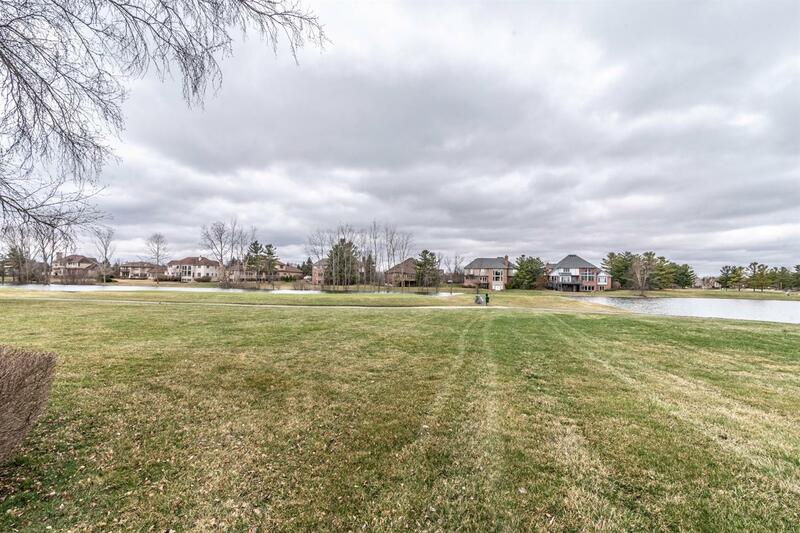 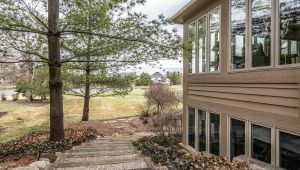 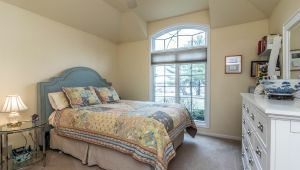 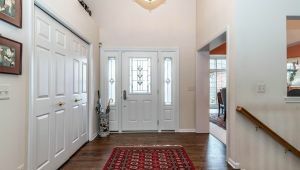 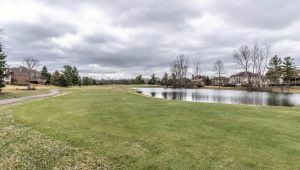 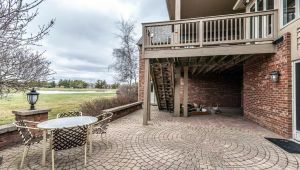 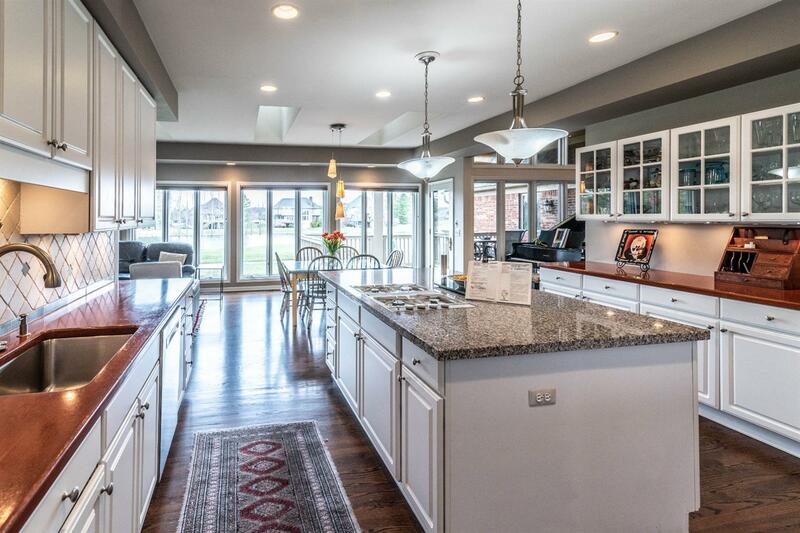 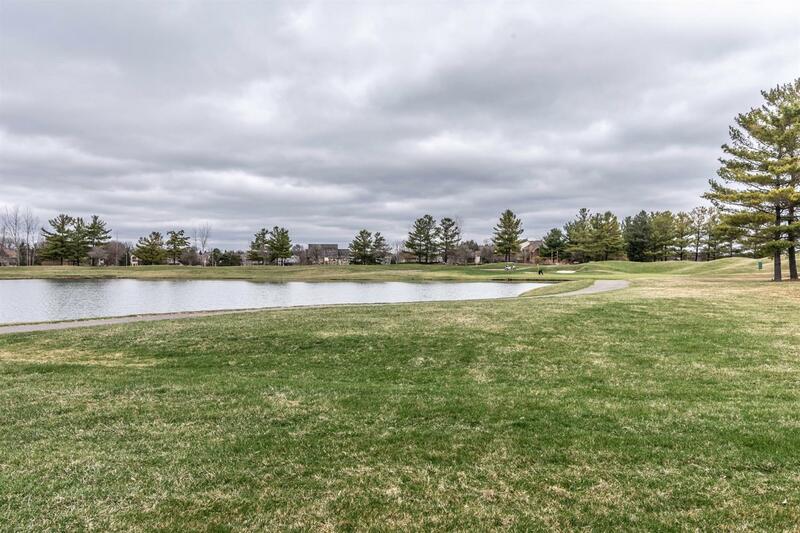 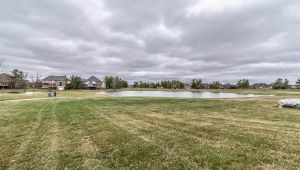 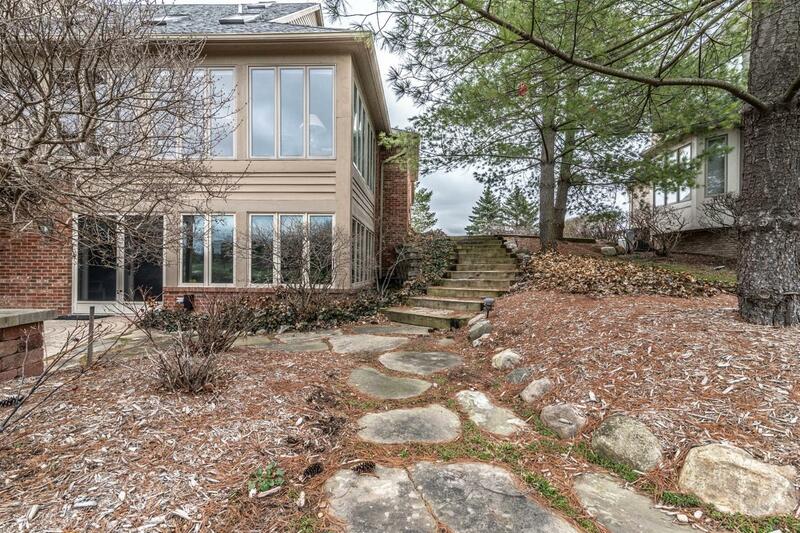 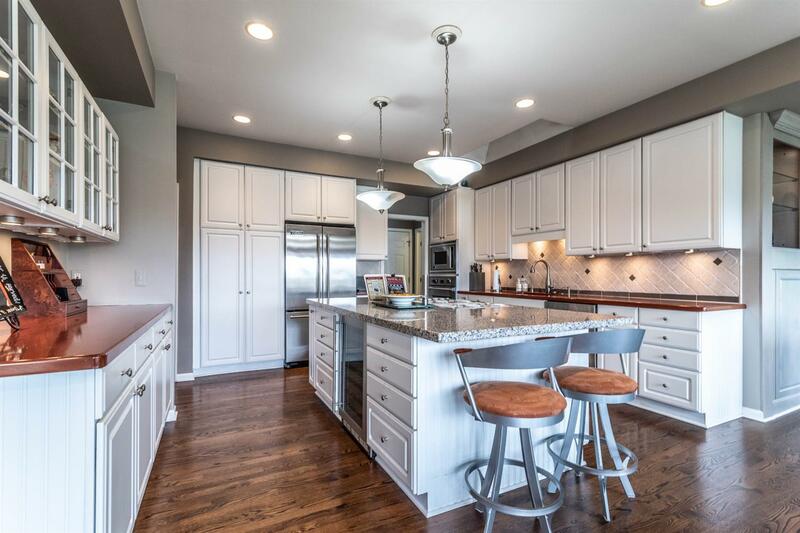 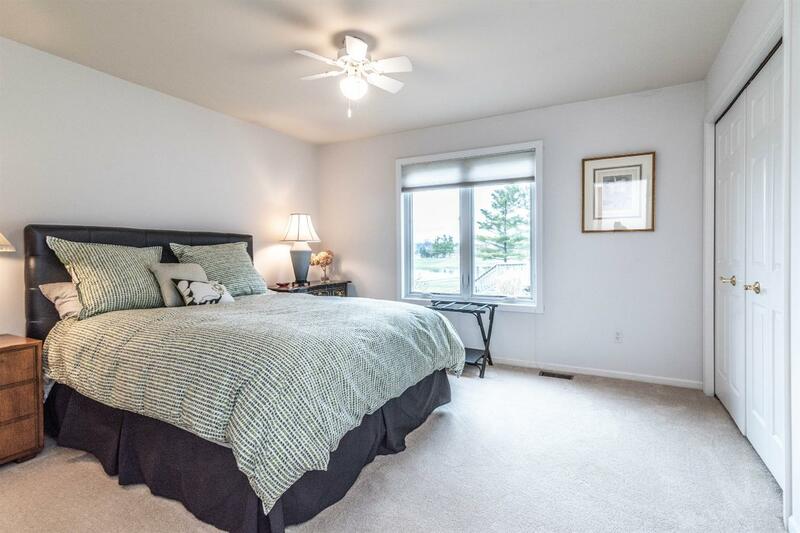 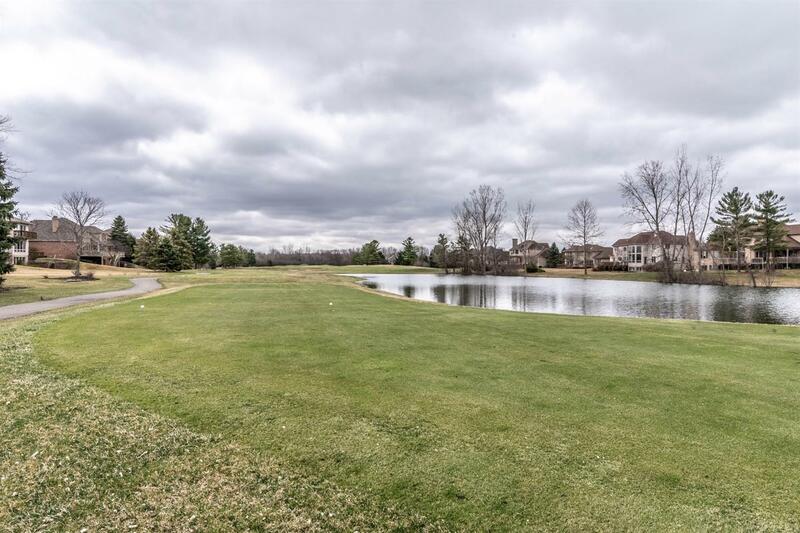 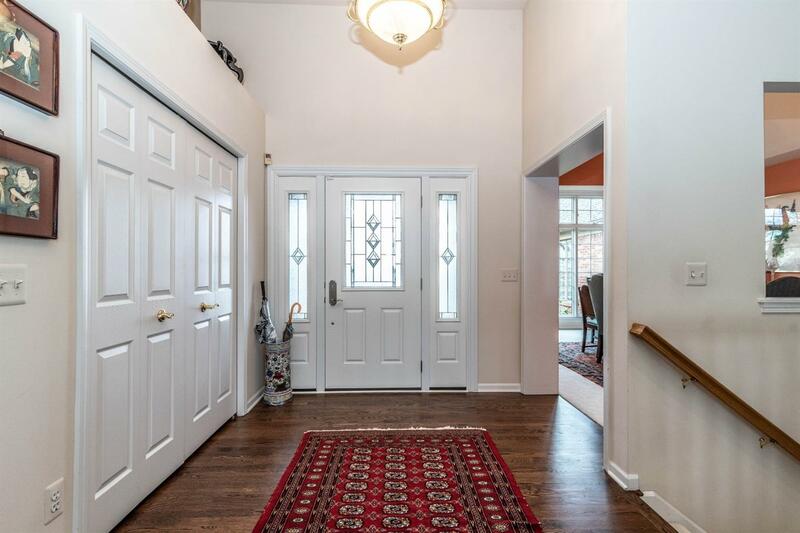 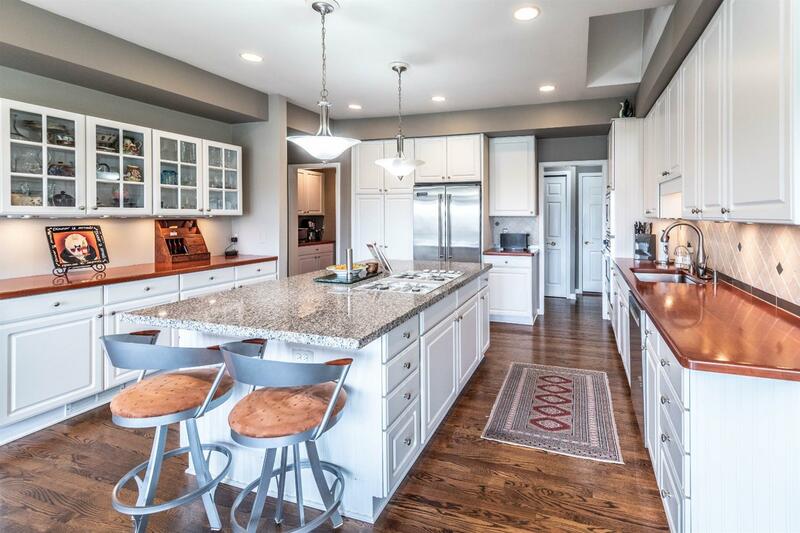 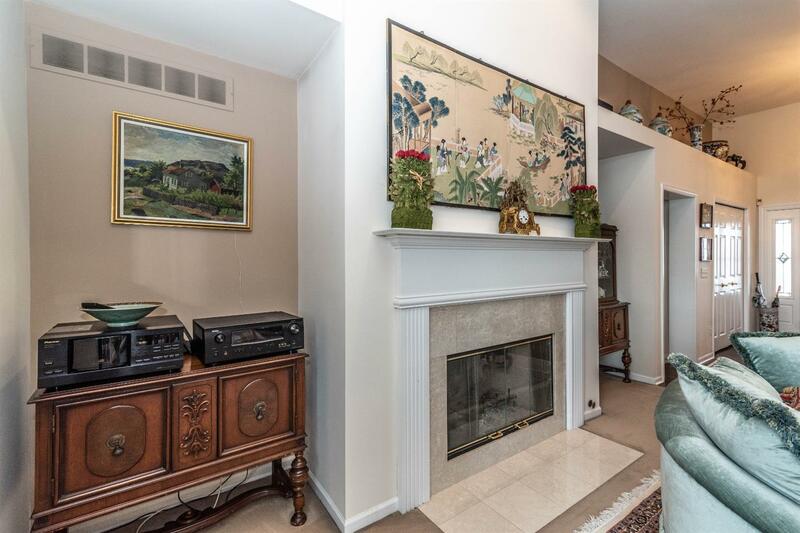 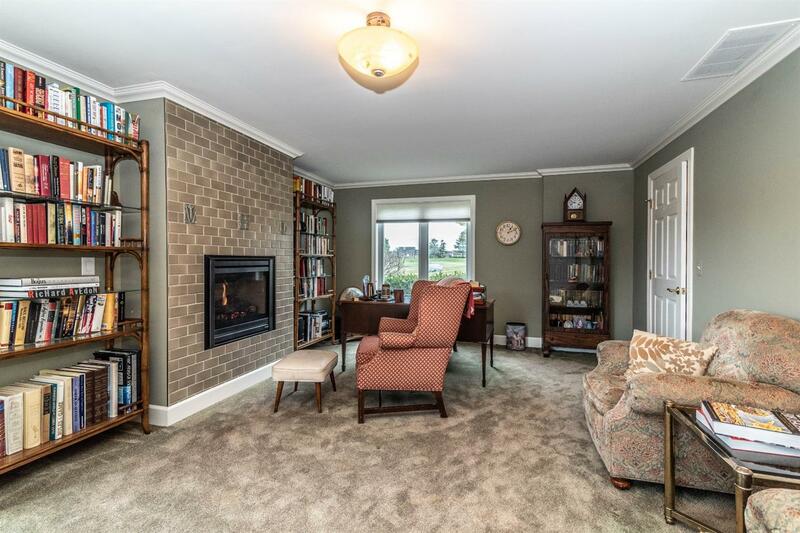 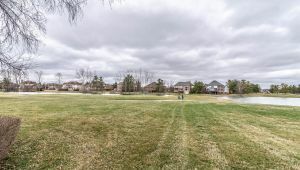 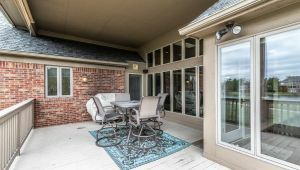 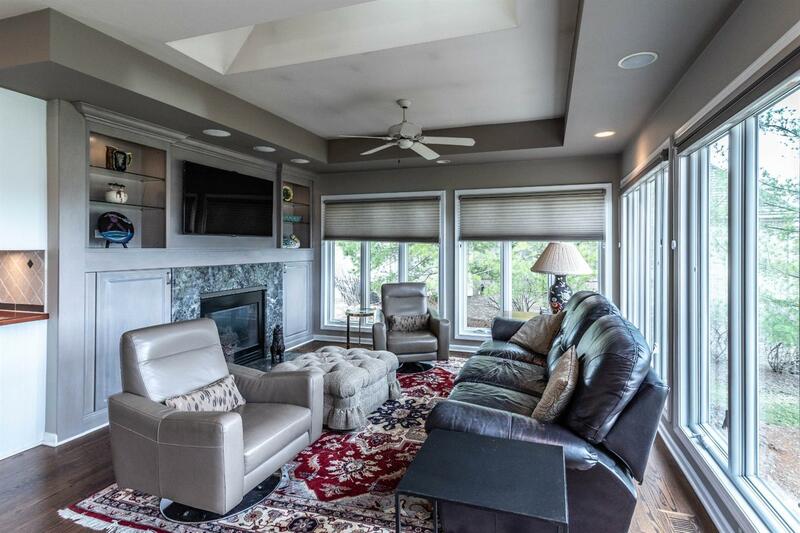 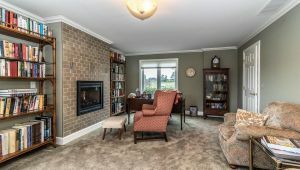 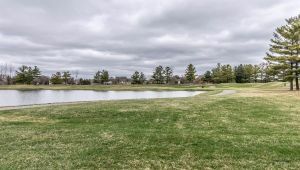 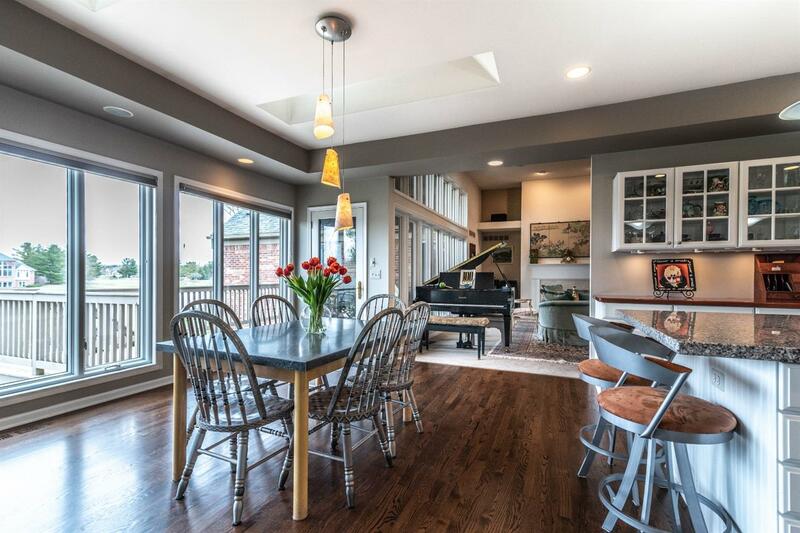 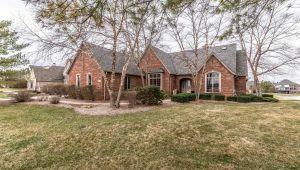 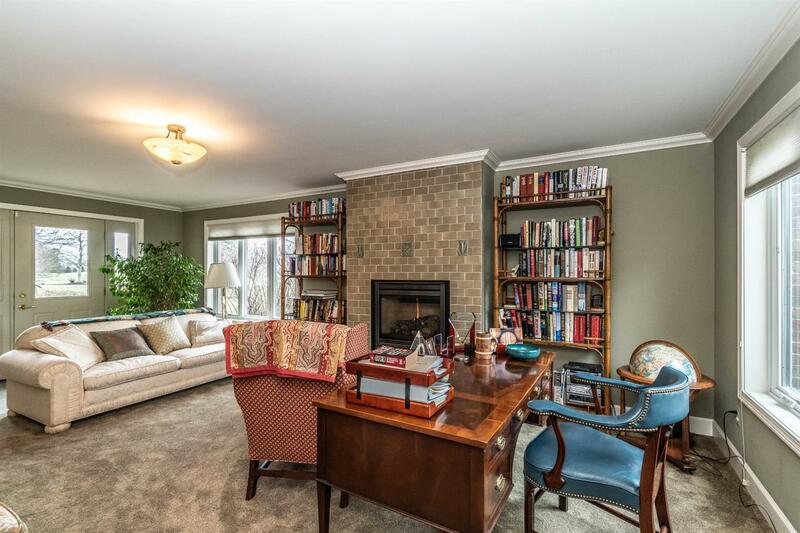 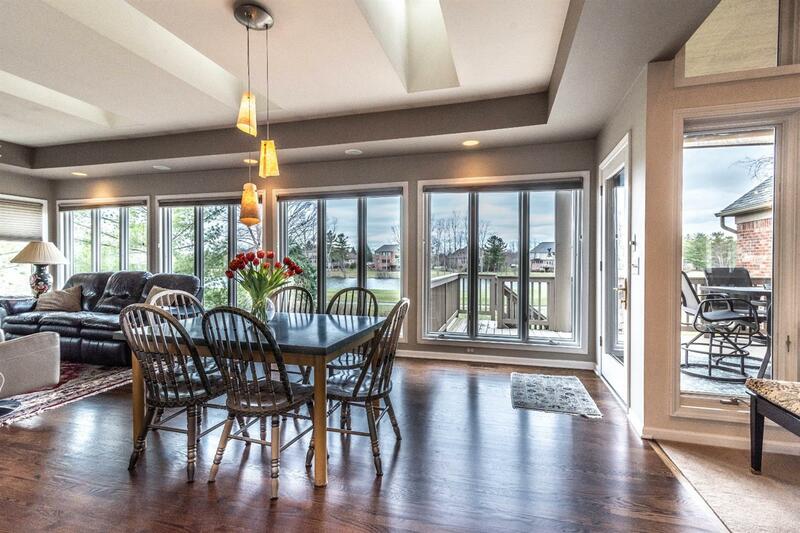 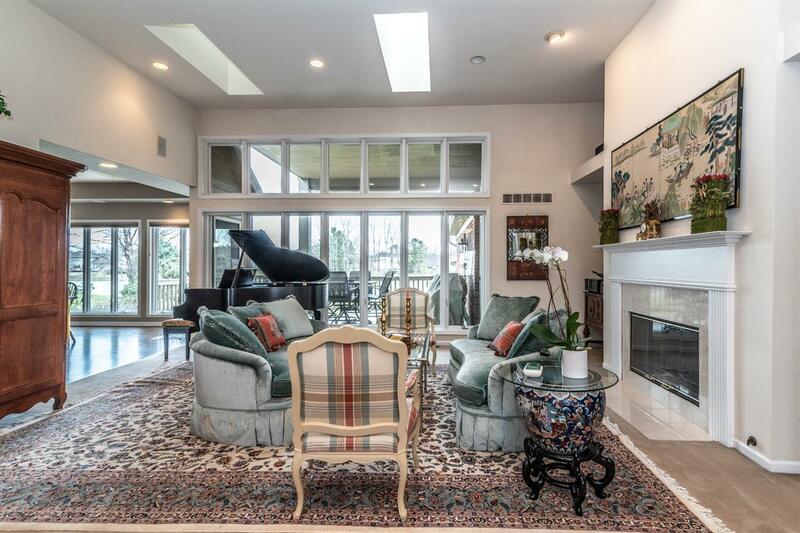 Located in the established Stonebridge community, with sweeping views of the pond and golf course, this impressive Ranch home is light-filled, open concept and beautifully updated throughout! 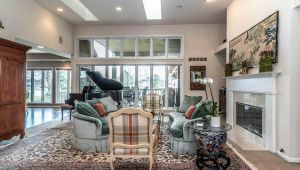 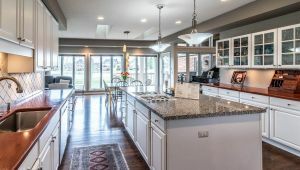 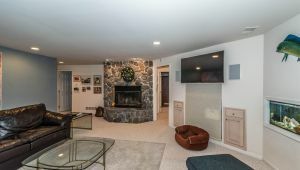 The large great room with fireplace and wall of windows leads to the tastefully updated chef’s kitchen with unique wood and granite counters, crisp white cabinets and stainless appliances including Viking refrigerator, oven and microwave, and opens to an informal dining and sitting space with fireplace and walls of windows. 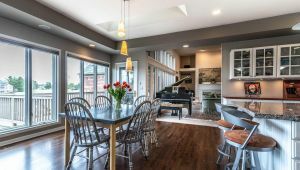 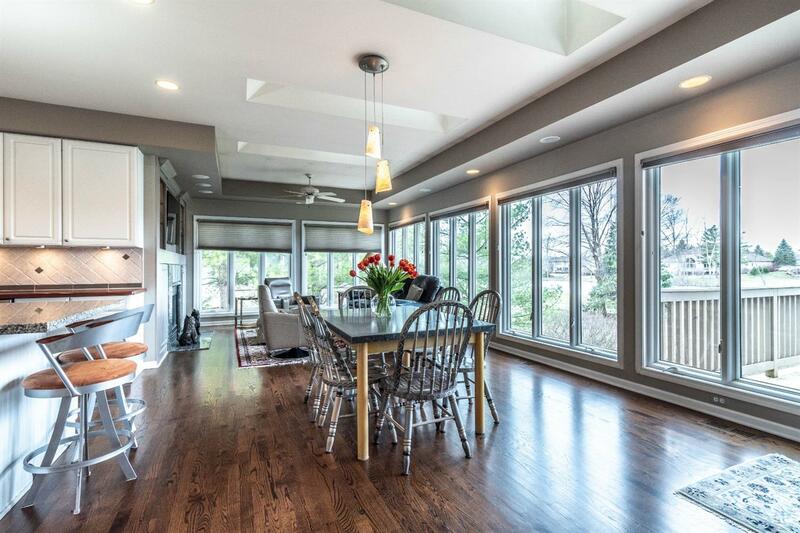 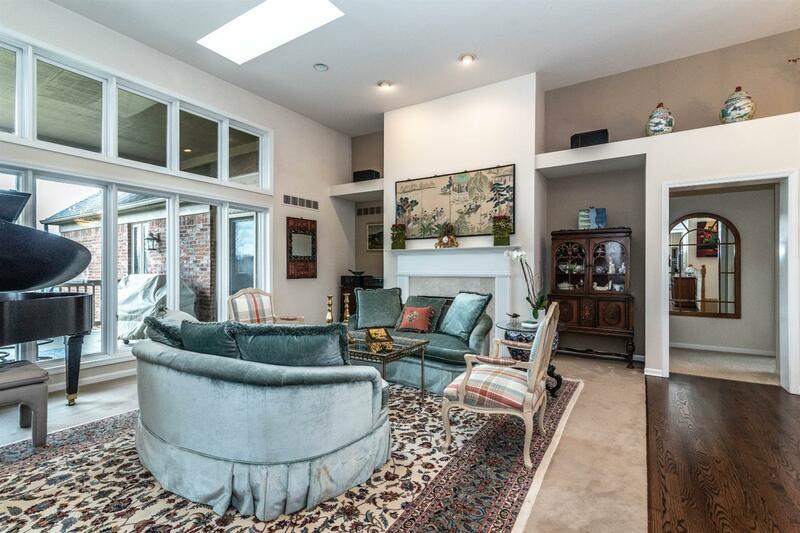 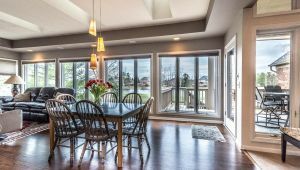 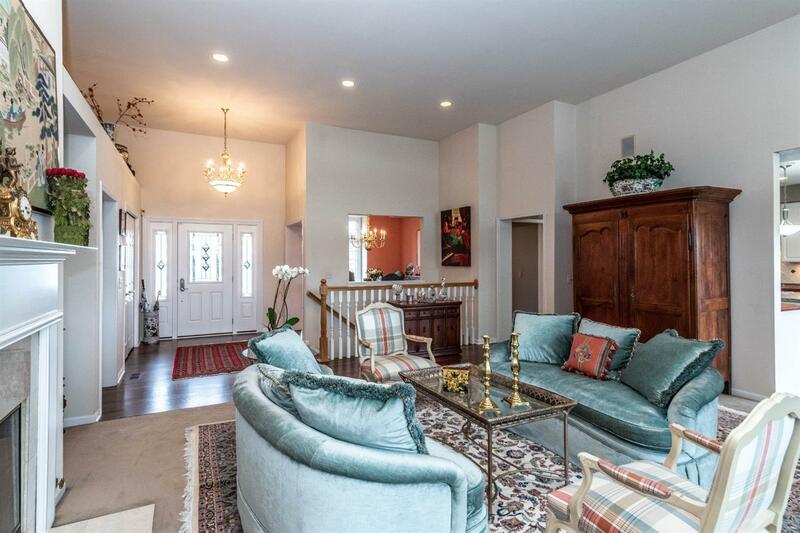 The formal dining room with vaulted ceiling has tons of space for family and guests. 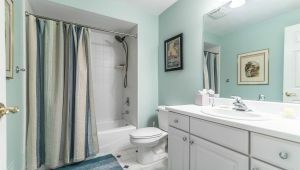 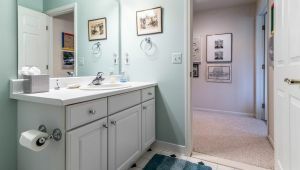 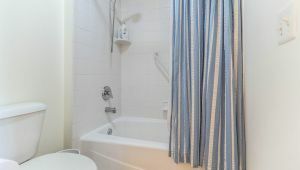 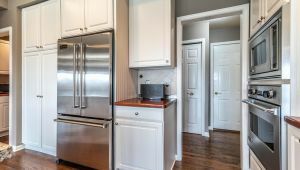 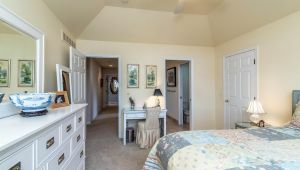 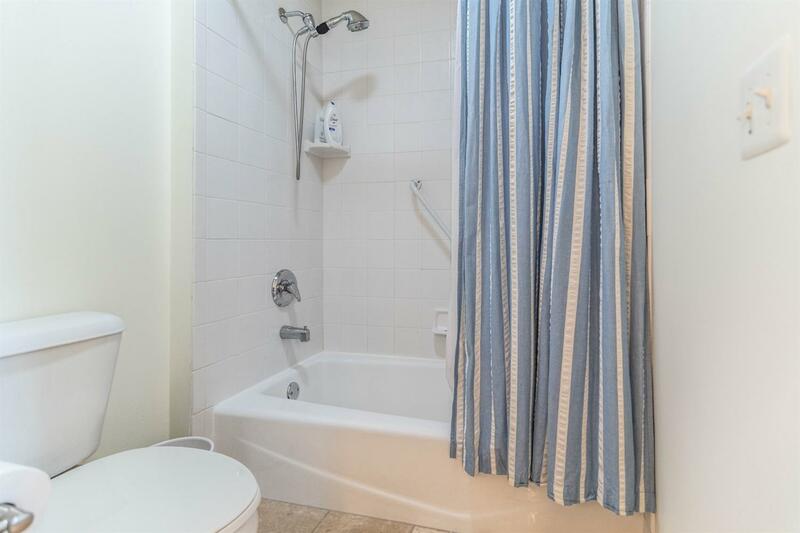 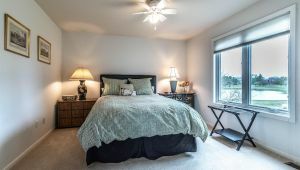 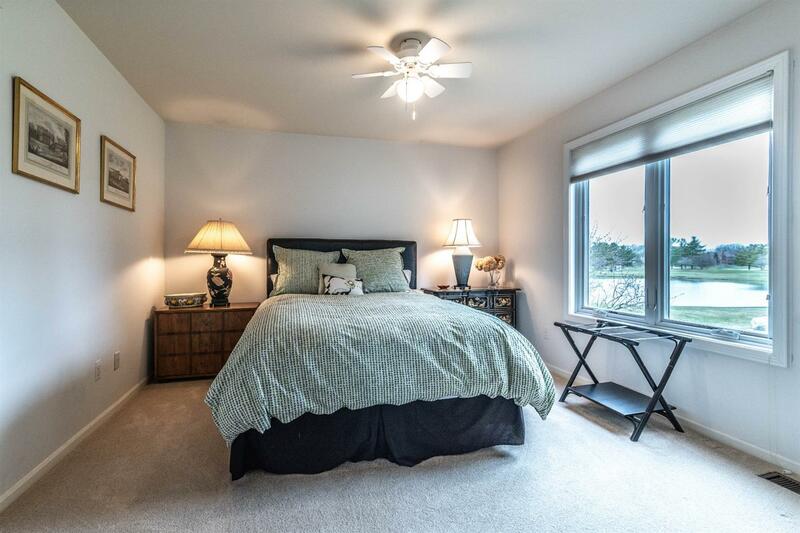 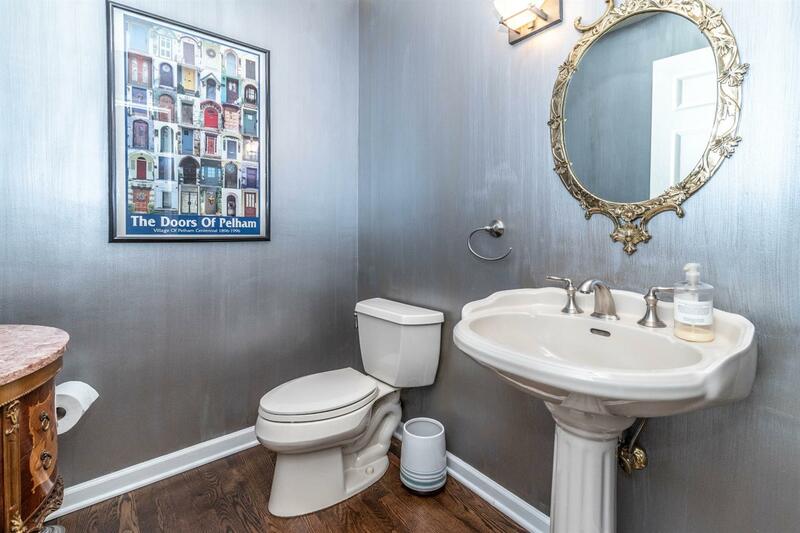 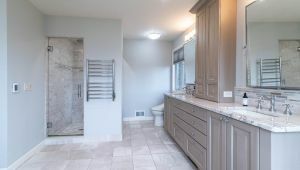 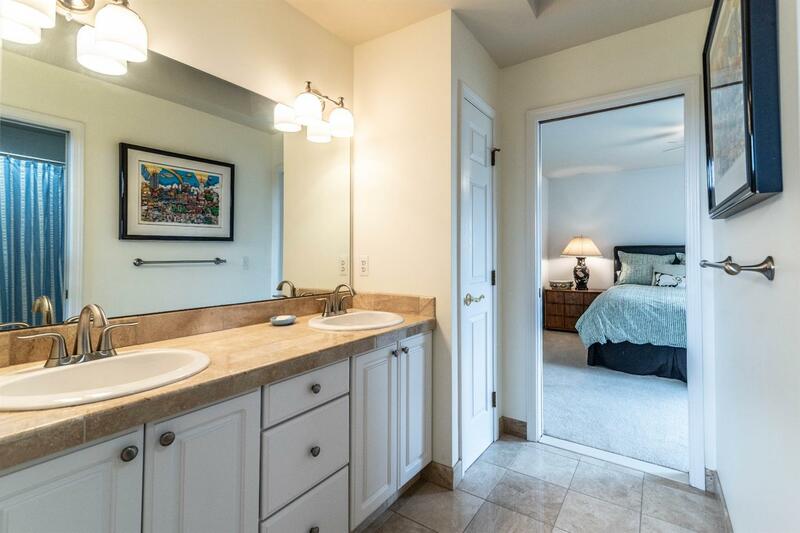 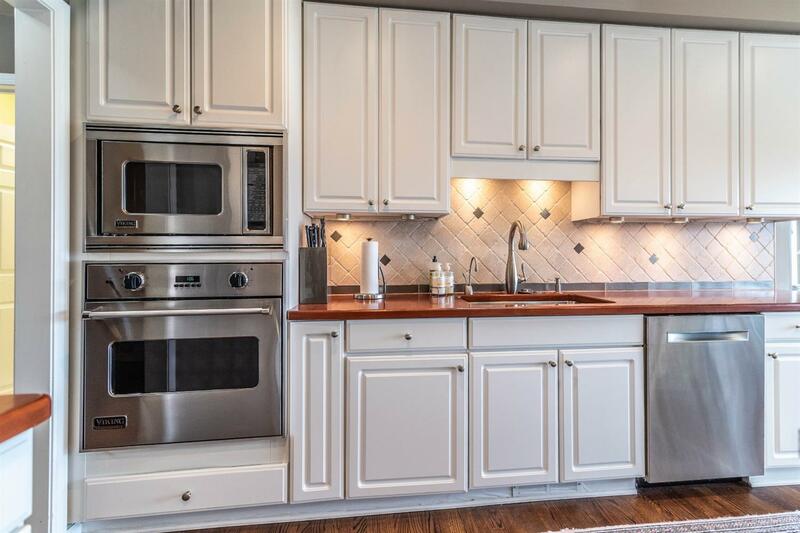 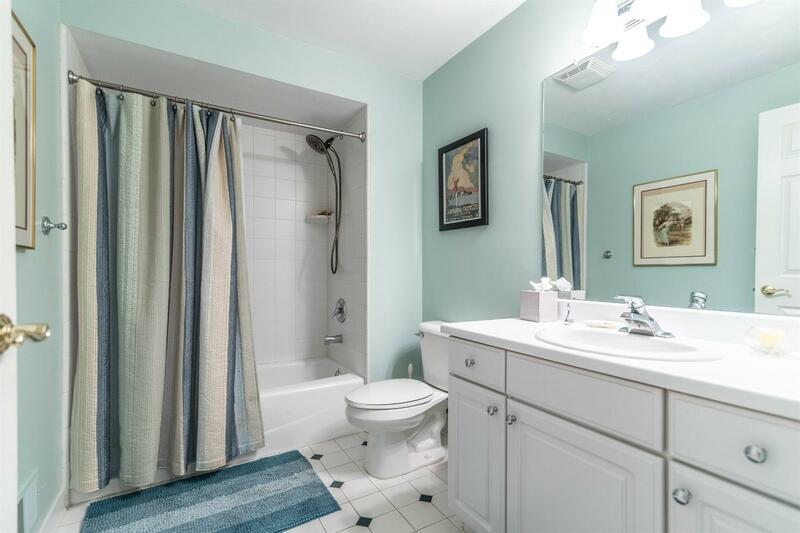 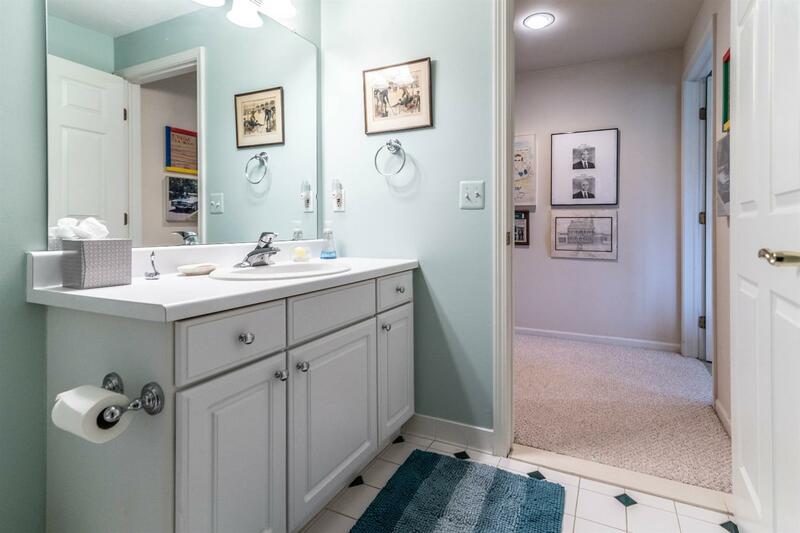 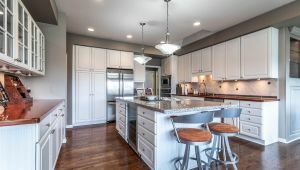 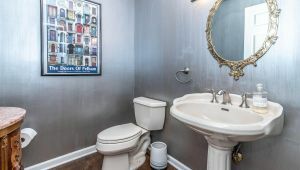 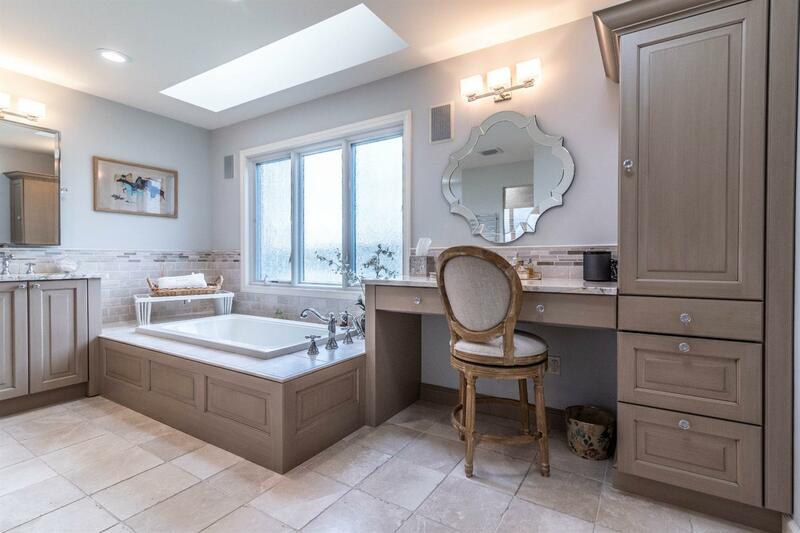 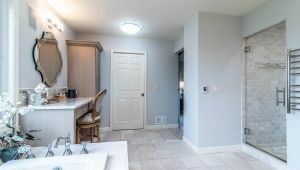 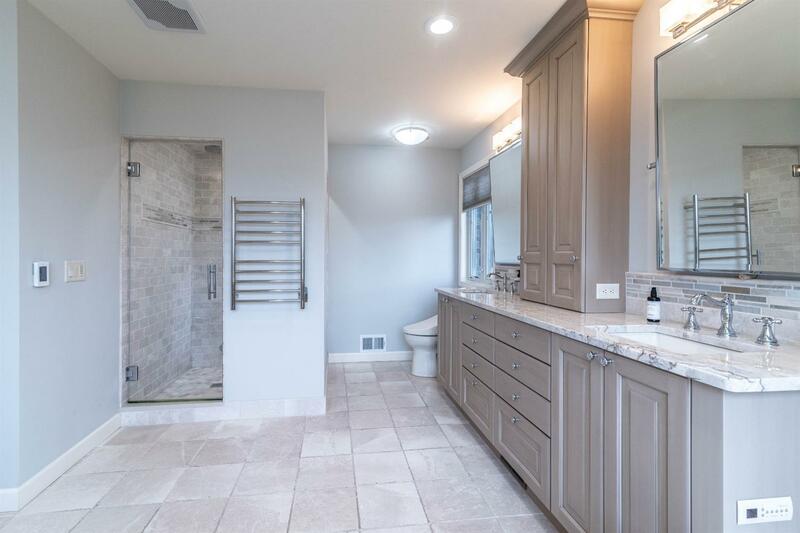 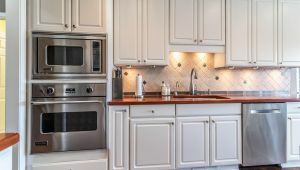 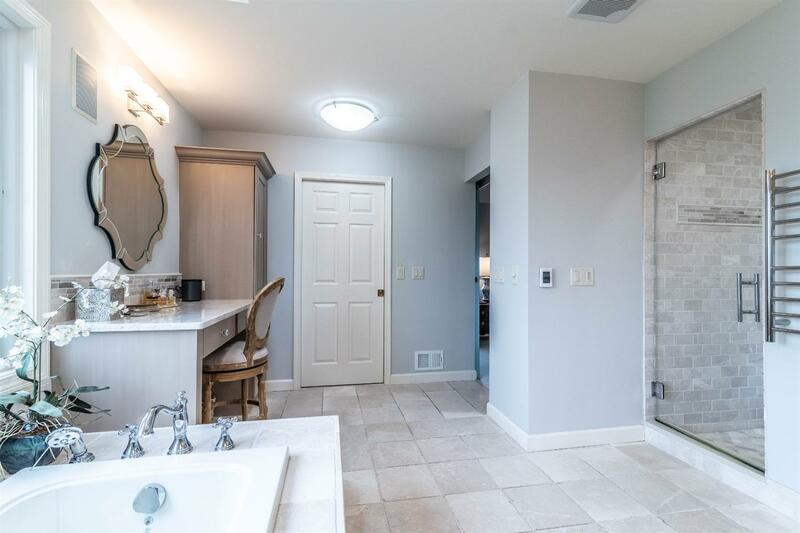 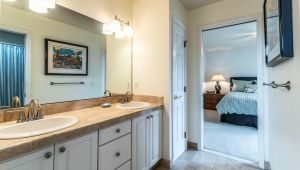 The master is a peaceful retreat with a calming color palette, tray ceiling, and completely updated bath with granite, dual vanities, soaking tub and steam shower. 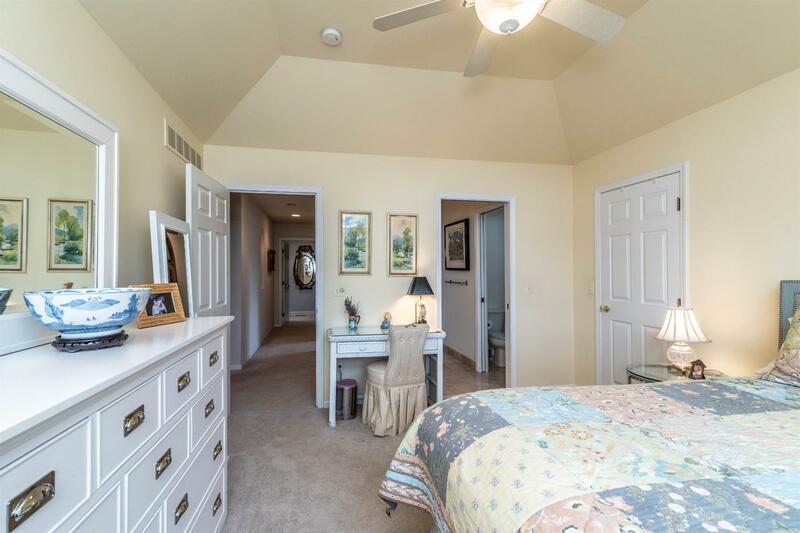 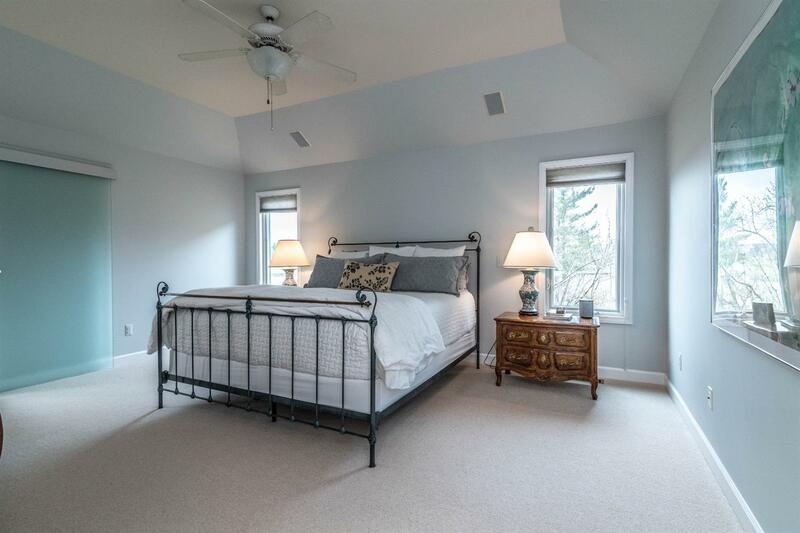 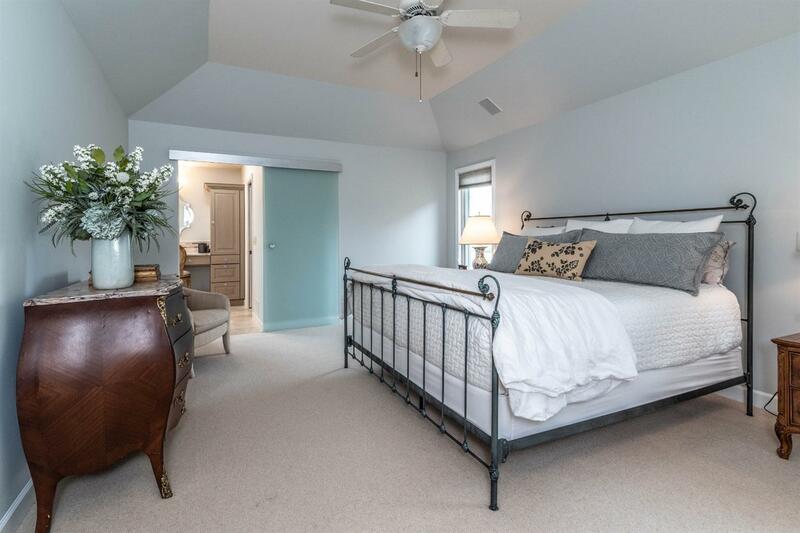 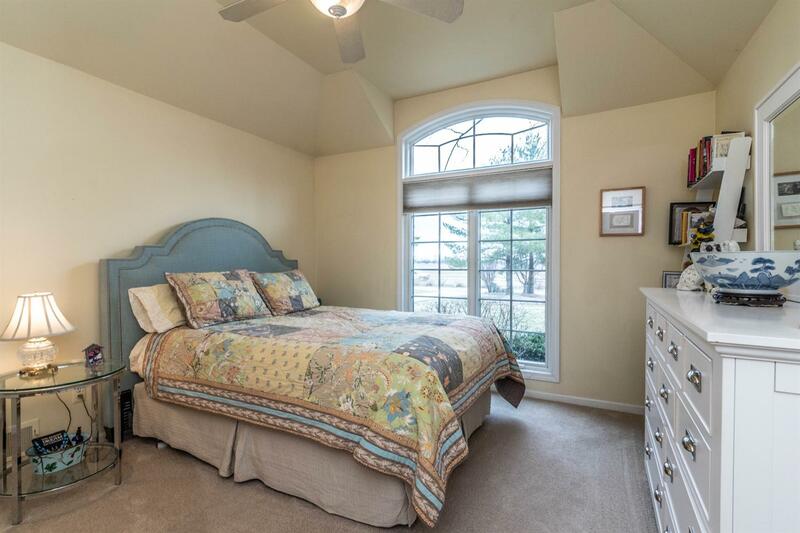 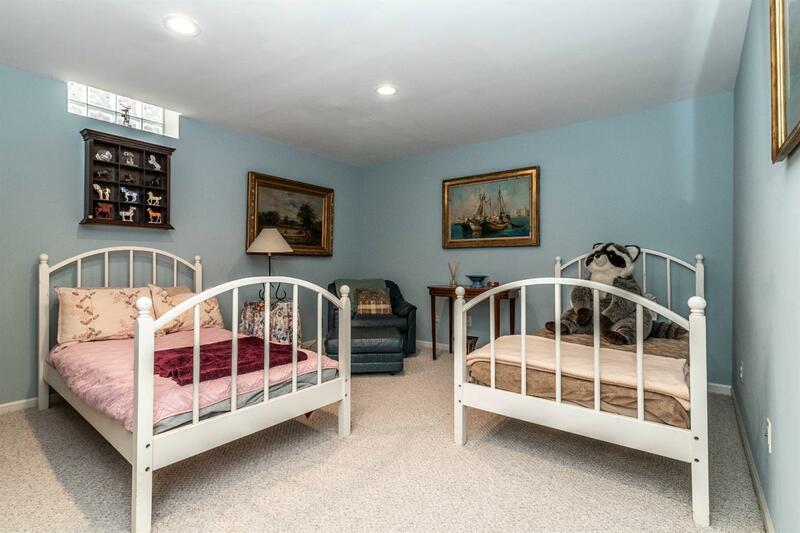 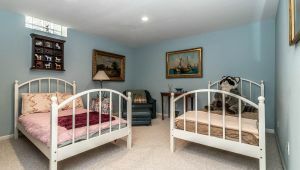 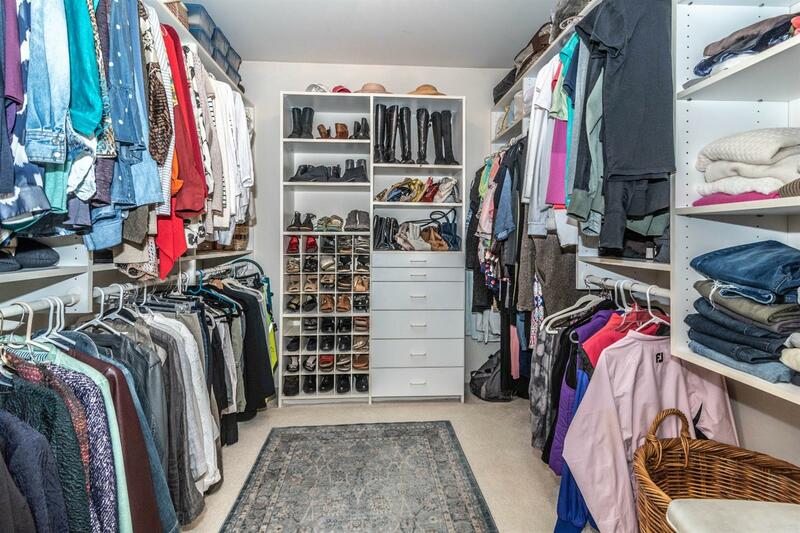 Two additional bedrooms and a Jack-and-Jill bath complete the first floor. 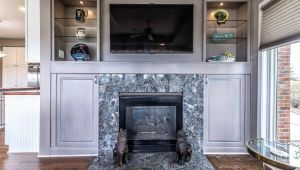 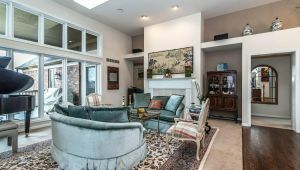 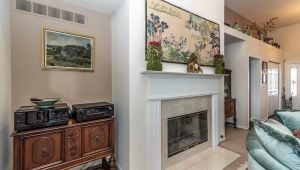 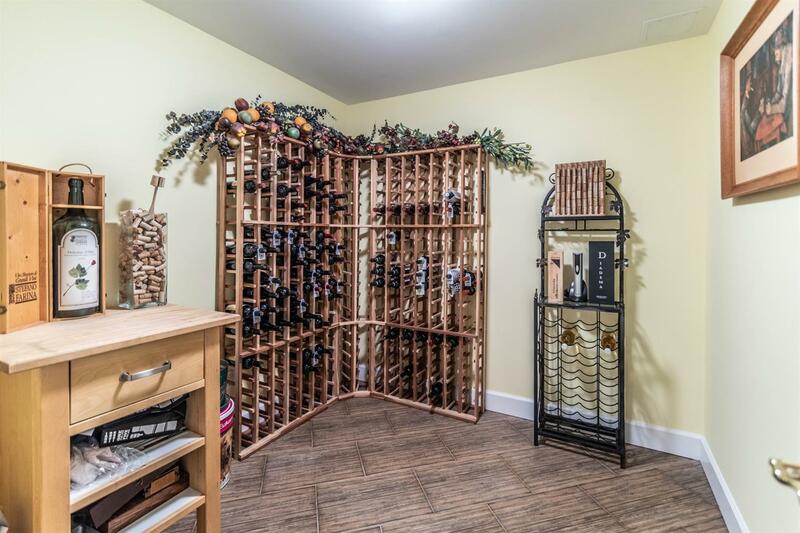 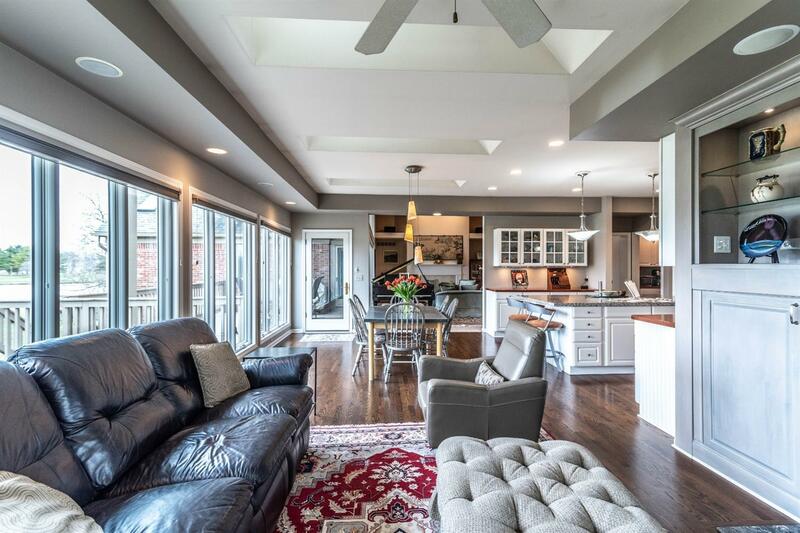 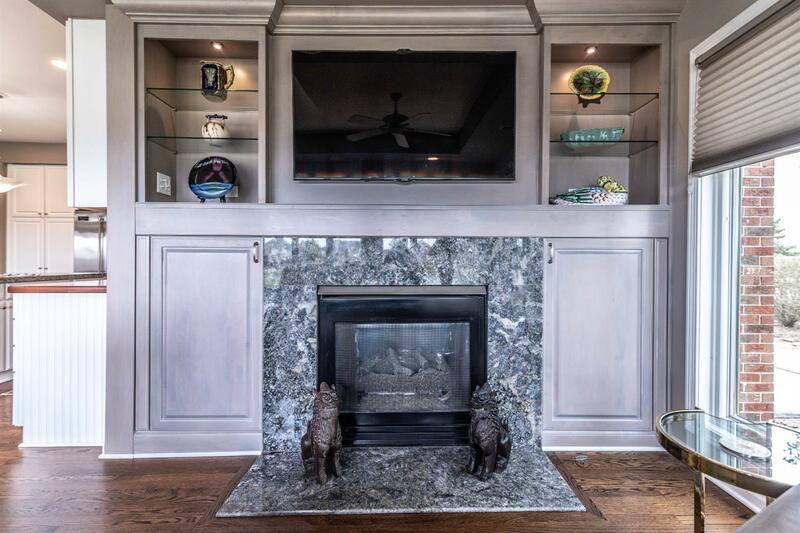 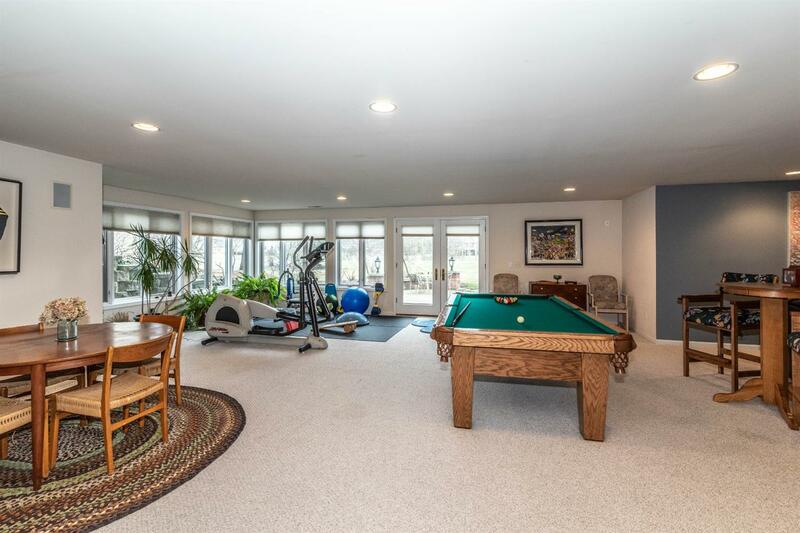 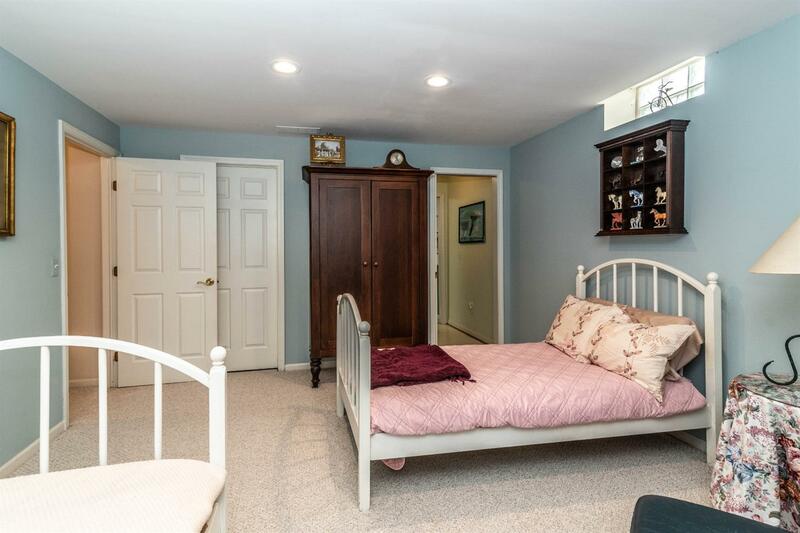 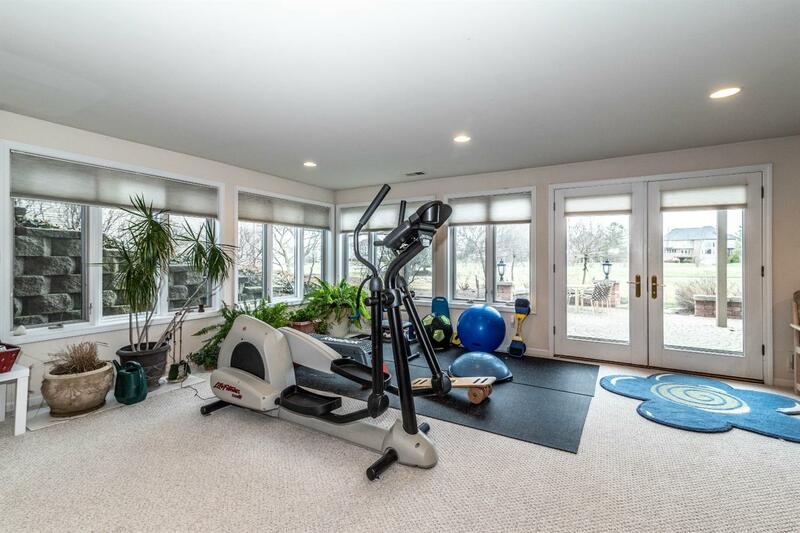 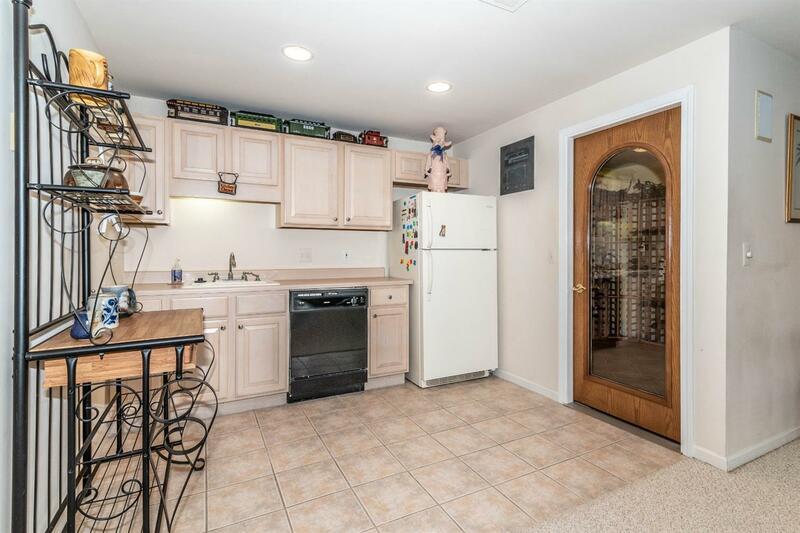 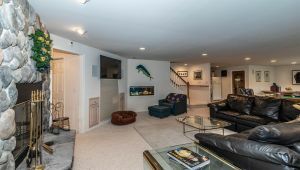 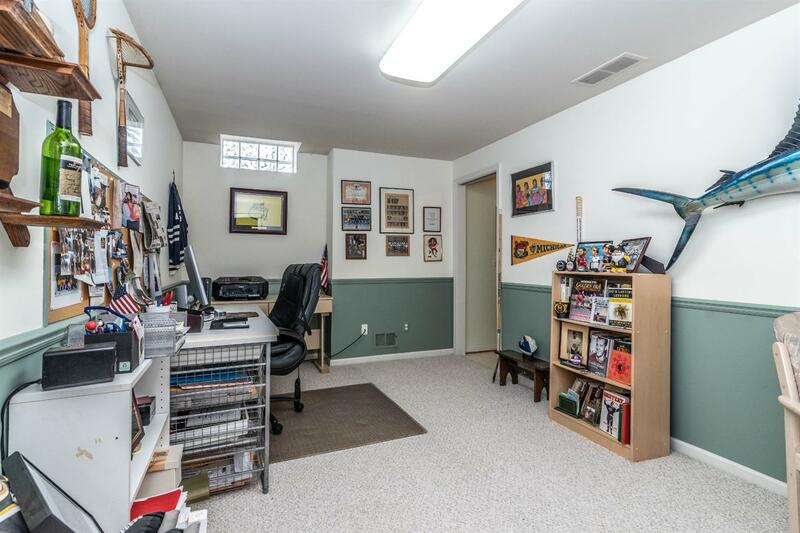 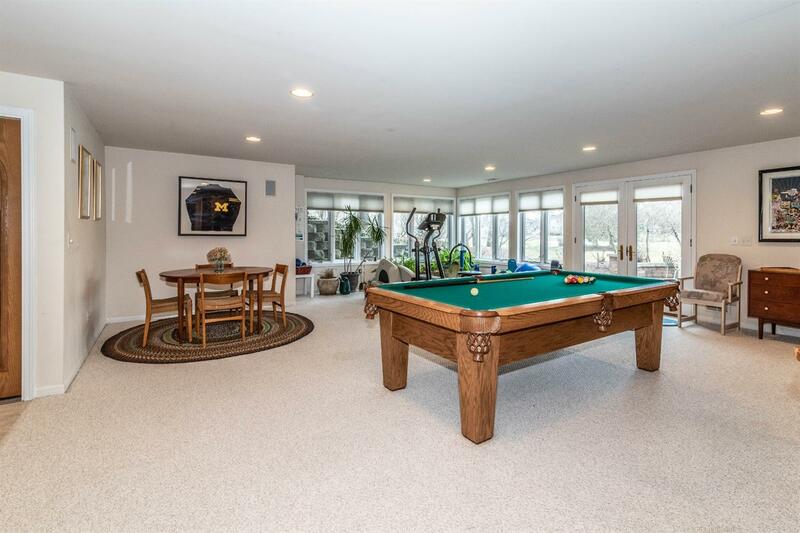 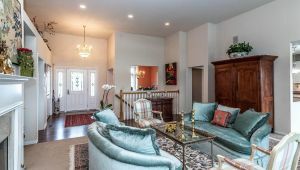 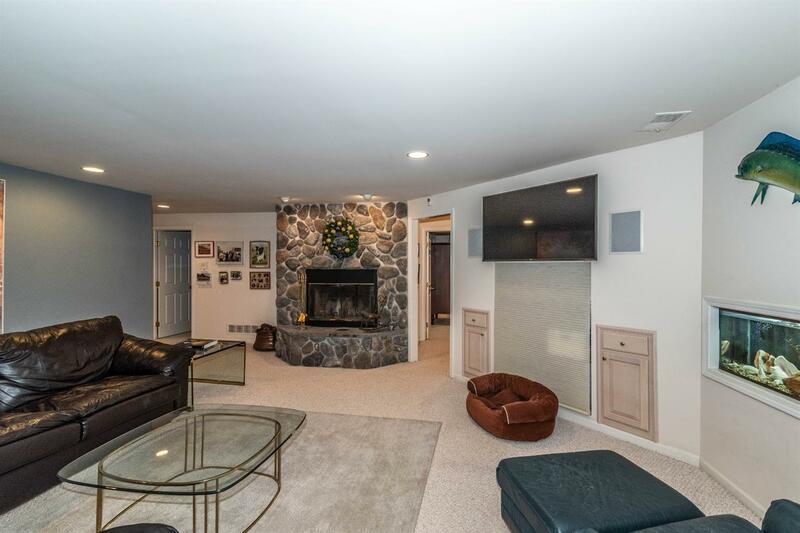 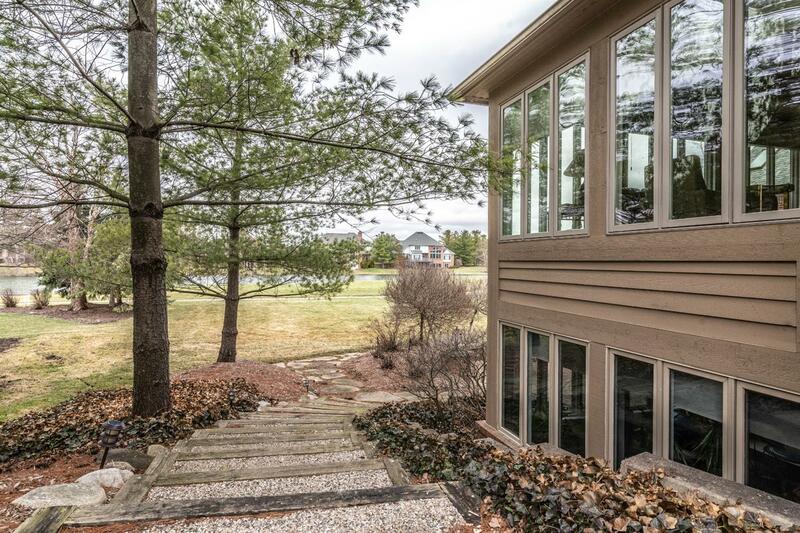 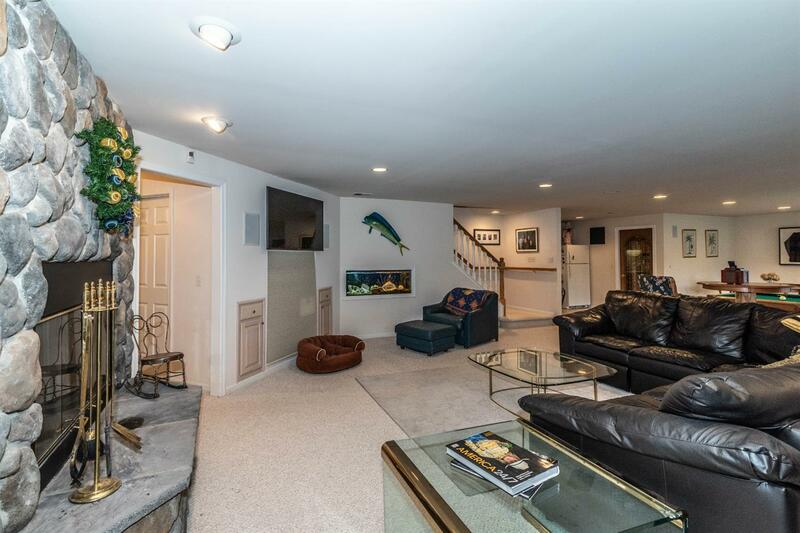 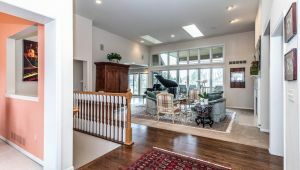 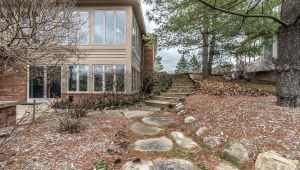 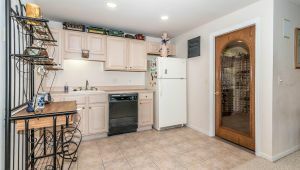 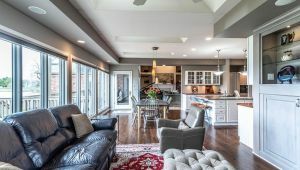 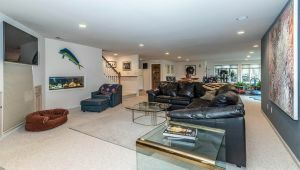 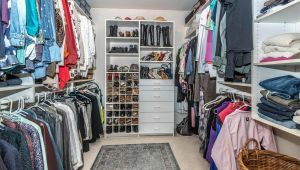 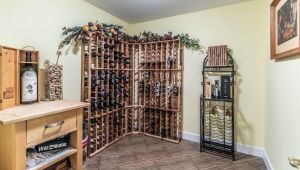 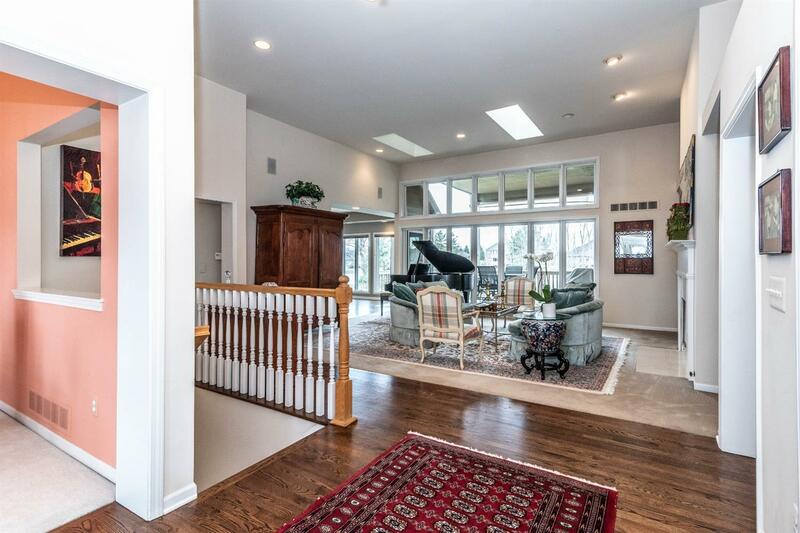 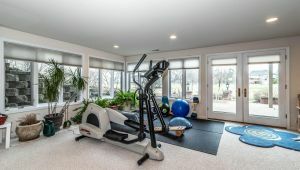 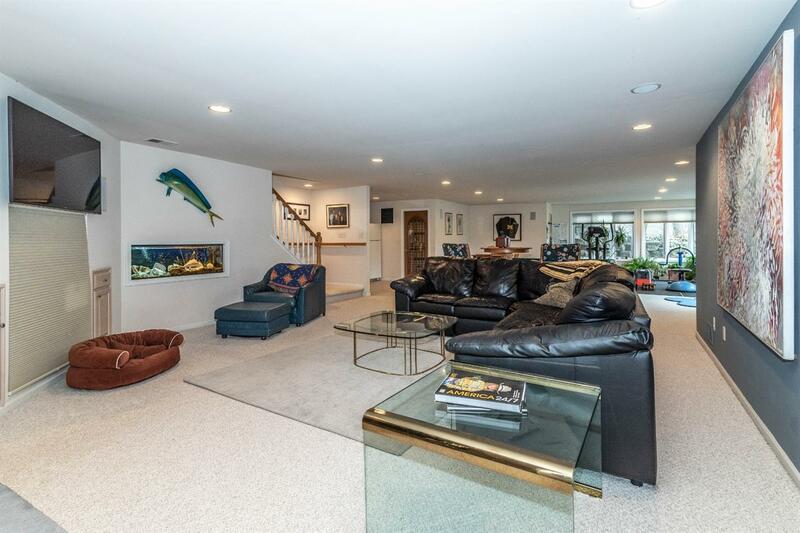 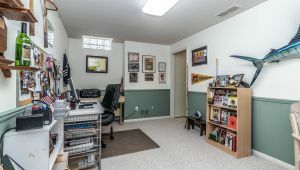 The walk-out lower level is a true extension of the upstairs, featuring a large recreation space with fireplace, family room with fireplace, kitchenette, wine cellar, full bath, and two bonus rooms perfect for home office, hobby room or possible additional bedrooms. 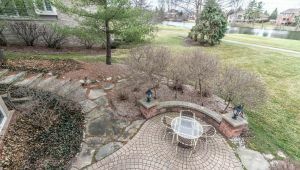 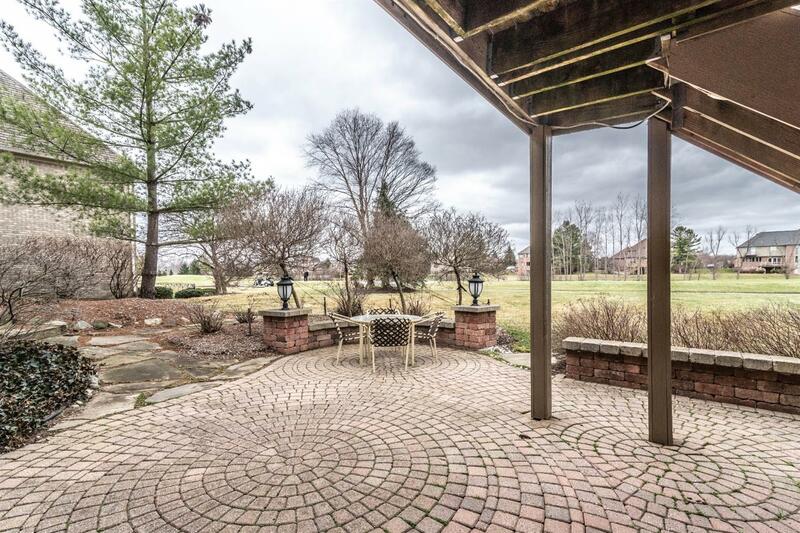 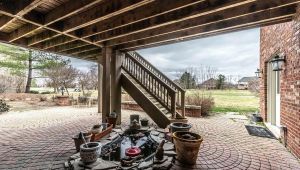 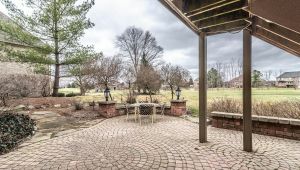 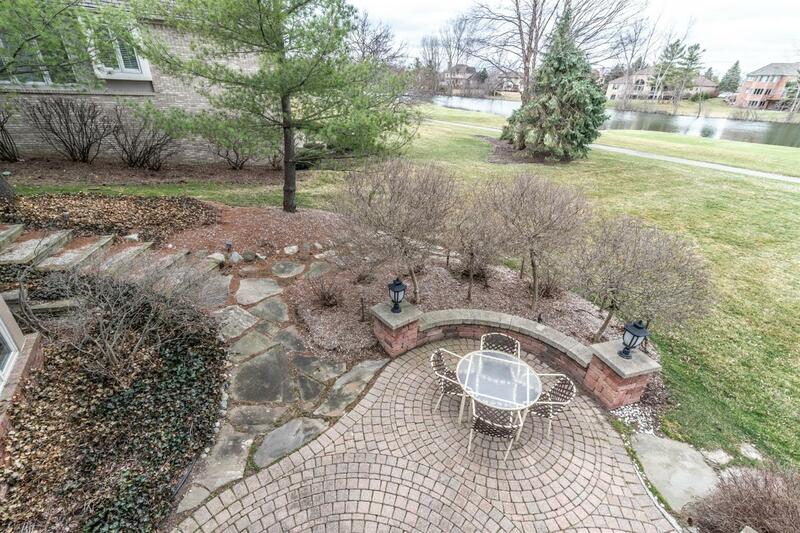 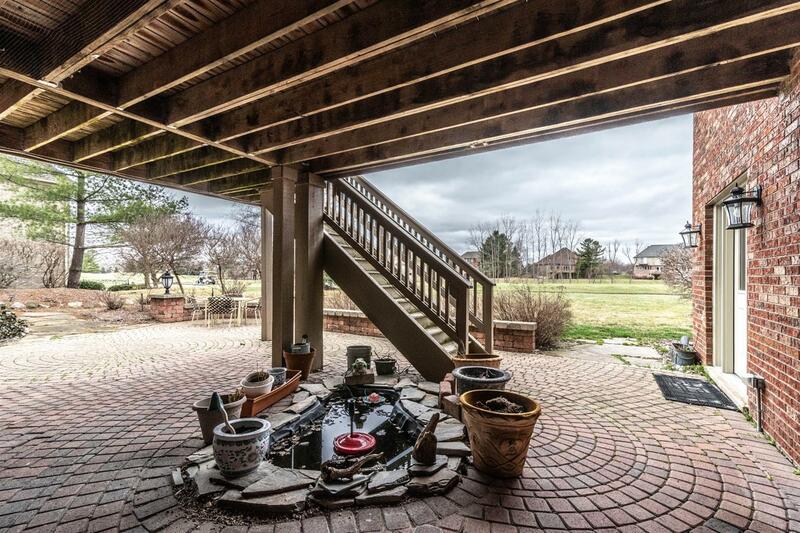 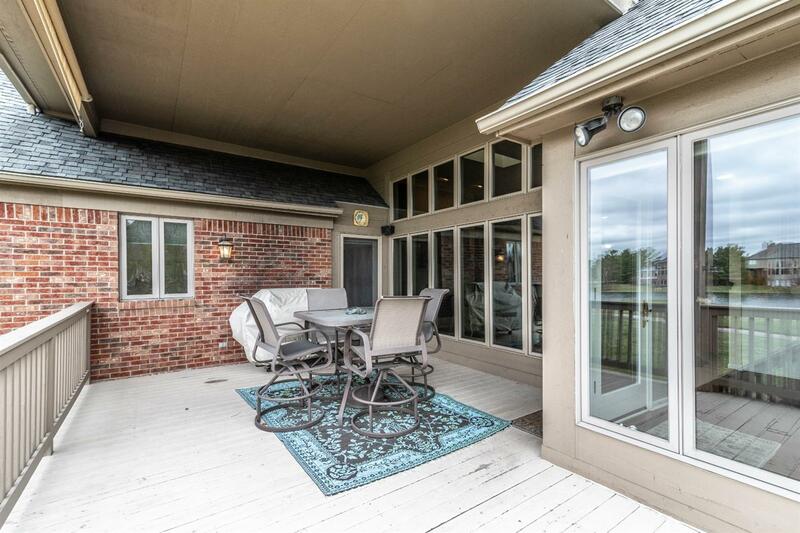 Outside entertaining is a must under the covered deck that leads to an expansive brick paver patio.